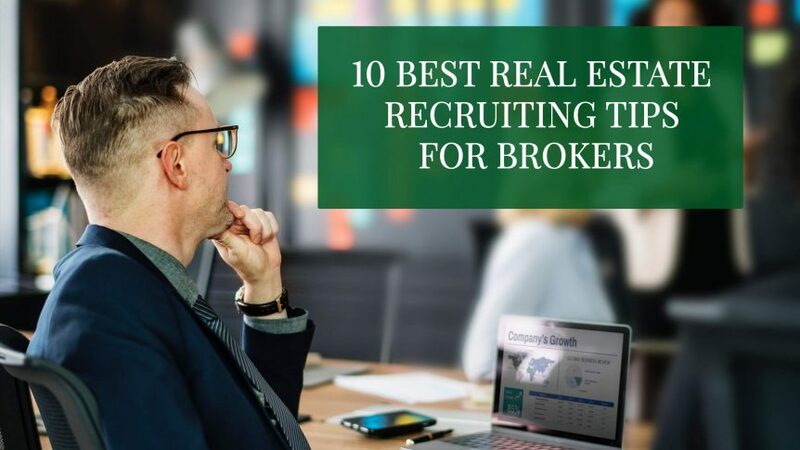 Best real estate recruiting tips for brokers and teams on a minimal budget! Get some new ideas and grow your business. Strategize on what type of agents will fit your culture the best; i.e. : new or established agents. Do you want self-starters or needy agents that ask you a lot of “How about this”, “What if this happens” questions? Have a full media profile for yourself and your company. Actively use the account by posting about yourself, your brand, agents, properties, trends and other news. Outsource this function to an admin/marketing person if needed. The best real estate recruiting starts with…tracking every recruiting activity such as interested calls, phone interviews, in-person interview and offers made in an excel spreadsheet every week so you can see your activity and what your spending money on. Go beyond compensation, make agents want to work for you and in your office. The highest commission split, biggest marketing budgets and lowest E&O insurance premiums are not all that matter. Make an exciting and welcoming environment for your new and existing agents. Introduce them to your preferred title, escrow, and insurance reps. Discuss tools and training that have worked in the past and open opportunities. How much is this recruiting going to cost you in marketing, on-boarding, training and materials? If your escrows do get delayed consider a commission advance to help with expenses from Express Cash Flow at ExpressCashFlow.com. They will provide up to 75% of your net commissions within 4 hours. Post on social media that your looking to expand and grow your office. Tell everyone! What are the benefits to working with you and in your office? Encourage your agents to setup appointments for you with potential prospects and reward them with $250 on each new hire. Or maybe the prize is dinner with you or just recognition in front of the entire office. Targeted mailings could increase your brand awareness but the list needs to be very focused so that the conversion rate is higher to offset the costs. Get involved in local charities and attempt to serve on a few non-related real estate boards in your community. Learn to tell success stories about past clients and how you worked in different situations. Everyone wants to hear good stories so rehearse them for when you have a few minutes before a meeting starts, dinner conversation or just telling friends. Get to know agents from competitors in your area. Comment on their posts. Are they active producers? Work ethic? Values? Open houses are a great way to meet other agents in a comfortable setting. Introduce yourself, hand out business cards and tell them what’s unique about your company, marketing, and culture. Always follow-up, it might take 2 months or 2 years but plant your seed! Have a landing page for prospective agents to learn more about your business and fill-out a small questionnaire. Ask your past clients (buyers or sellers) if they know anyone looking for a new career? Email, phone call, text message, etc. Maybe it’s a niece that is just graduating college, someone that is in retirement looking for part-time work, a teacher that has the summers off and looking for a pay raise? You won’t know if you don’t ask. Have a table with some free popcorn, give aways from the 99-cent store or kids toys with your contact information. This is especially important if its in your “farm” neighborhood. The best real estate recruiting tip! You may think that once people are in a Senior Center they might not need a real estate agent but it is truly the office administrators that you might want to deal with. What happens when a couple needs to move into senior center and they have to put up the deposit and sell their house? The office administrators usually recommends a real estate agent or two in their area that can sell their house quickly for top dollar…THAT NEEDS TO BE YOU OR YOUR AGENTS! Obviously, you might have to pay a referral fee but you should come out on top!